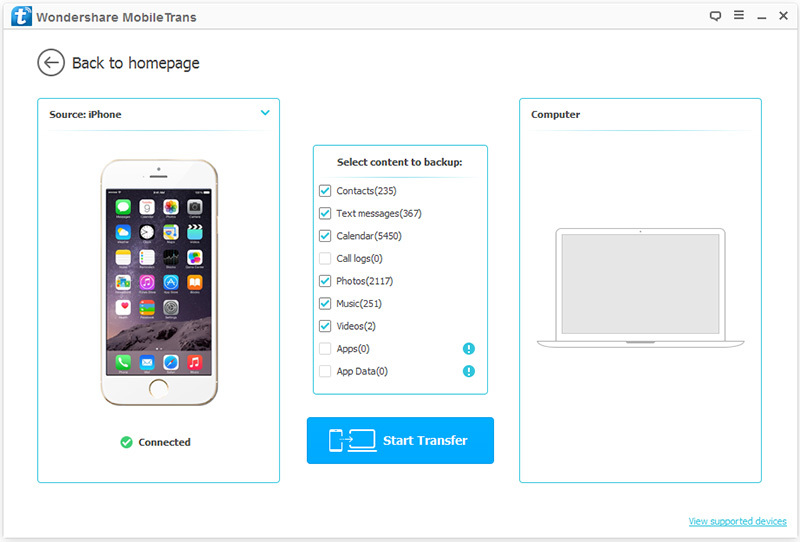 To backup your phone to your computer, you need to choose "Back Up Your Phone" from the primary window of Wondershare MobileTrans. 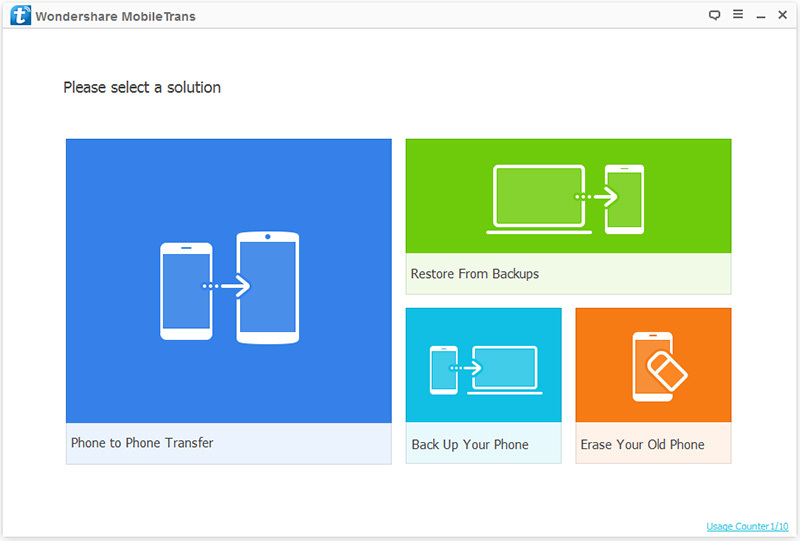 It lets you backup your whole device, so that you can restore it when there is a need later. 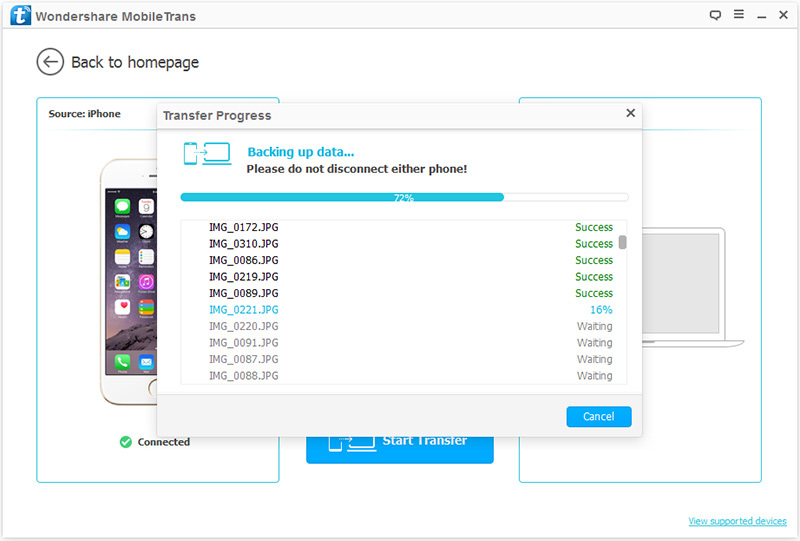 Next, let's check how to use MobileTrans - Backup Your Phone in steps. After running the program on your computer, get your device connected to the computer. Then click "Back Up Your Phone" in the primary window. When the program detects your device, you can see the window below. It supports iOS, Android, Symbian and WinPhone devices. Try and you will know it. The file types that you can backup to your computer are displayed in the middle of the window. Check the file and then click "Start Transfer". The data backup begins. Just wait and till it's complete. It will cost you some time. Just wait until you can see all the found private data in the scan result. 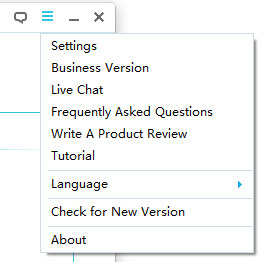 When the backup process is complete, you can click on the pop-up window to access it. Or you can go to the settings to find the backup file. Of cause, you also can change the path of your backup file there.